If you’re a fan of the Kia Stinger, but can’t get over the fact you can’t get it with a stick, Hyundai may have a solution for you. 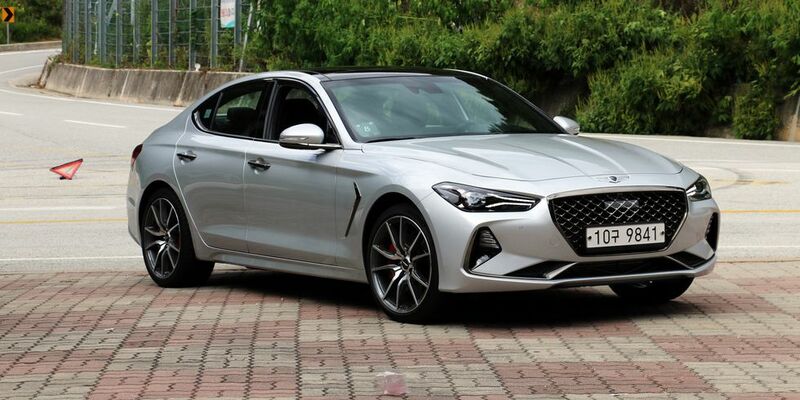 The new 2019 Genesis G70, which is based off the Stinger and rivals cars like the 3-Series, C-Class, and A4, will be getting a six-speed trim level in the US. The news comes from the EPA, which recently released fuel economy ratings for the G70, which we drove in September of 2017. It seems buyers will only be able to get the manual with the smaller 255-horsepower 2.0-liter turbo-four cylinder engine, and rear-wheel drive. Car and Driver suspects the stick will come exclusively in the Sport trim, which includes Brembo brakes, 19-inch wheels wrapped in summer tires, a head-up display, and a limited-slip differential. Those seeking a G70 with all-wheel drive or the bigger 365-horsepower 3.3-liter turbo V6 engine will have to settle for an eight-speed automatic.